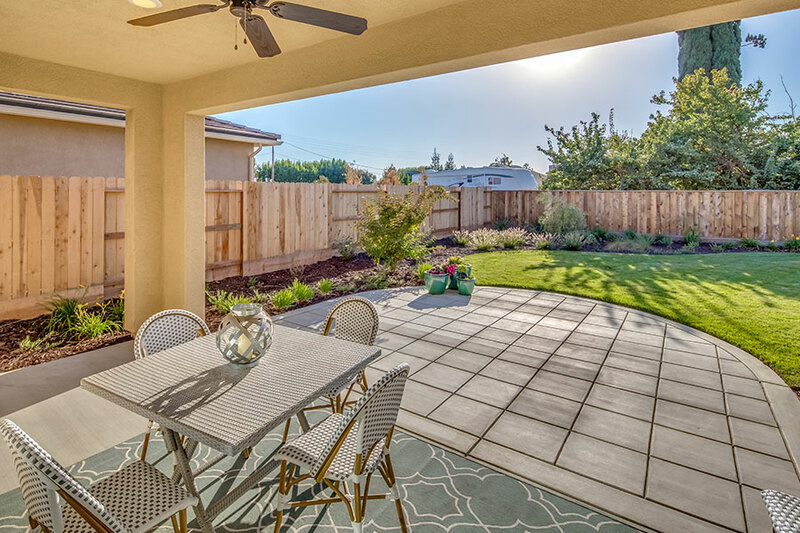 HOMEOWNERS ARE LOVING THE OPTIONAL OUTDOOR ROOMS AT MODESTO’S ROSE PARK! Designed with the option of an open transition space, Florsheim’s Outdoor Room, also known as a California Room, allows homeowners to seamlessly blend the outdoor serenity with indoor luxuries. So, why is Florsheim’s optional Outdoor Room and fireplace so popular with residents at Rose Park? Simply put, the Outdoor Room is becoming a must-have for homebuyers across the country. Many use the Outdoor Room as an open family room with comfortable seating and a roaring fireplace. While others might turn it into a luxurious place to escape for quiet reflection or family relaxation. Specially designed with California living in mind, these rooms make it easy to relax, entertain, and love your home. Rose Park “In the Village” offers 6 new home designs, with a myriad of possible floorplan configurations. Whether you prefer single or two story living, Tuscan or Traditional exteriors—we have thought of it all with these elegant, yet functional new homes. Equal Housing Opportunity. Florsheim Homes reserves the right to make modifications to elevations, floor plans and features without notice. Elevations and floor plans are artist conceptual drawings. All garage doors show optional windows. Square footages are approximate. Windows, porches and room configuration vary per plan and elevation.